The question was asked on a Facebook group I belong to, why do the group's reconstructionists follow that approach? While I no longer think of myself as a Celtic recon, per se, I do feel that reconstruction is a big part of my own practice and I enjoyed thinking about the question. I decided that I suffer from insatiable curiosity and a desire for authenticity, and that in the end is what will always make me look to reconstruction as the main methodology I use in practicing my spirituality. Needless to say this causes me endless grief and often shapes my own self-image as well as how I relate to groups and labels. I began in neo-paganism but even at a young age was drawn to Irish material. Back in the early 90's the only way to follow that up available to me was to delve into historic and mythic literature which gave me at least a basic understanding of what was known about the actual beliefs and practices of the pagan Irish. Why I was drawn to the Irish is a bit of a separate topic, but suffice to say it was a long standing interest nurtured by family heritage and stories. I could never be satisfied following made up or imagined Irish paganism later when I began to find books by popular pagan authors that claimed to be genuine or traditionally Irish or Celtic. I think that quest for Truth is what led me into Druidism and I was lucky enough in the late 90's to find a reconstructionist Druid discussion group (which later became an Order) and that gave me the concept of practicing modern paganism based on reconstructionist principles as a viable "thing". I say lucky because this was still a time when the majority of Druidic groups where solidly Revivialist or neo-pagan; neither of which is bad, necessarily, but both of which include the very romanticism or outside influences I was trying to avoid. 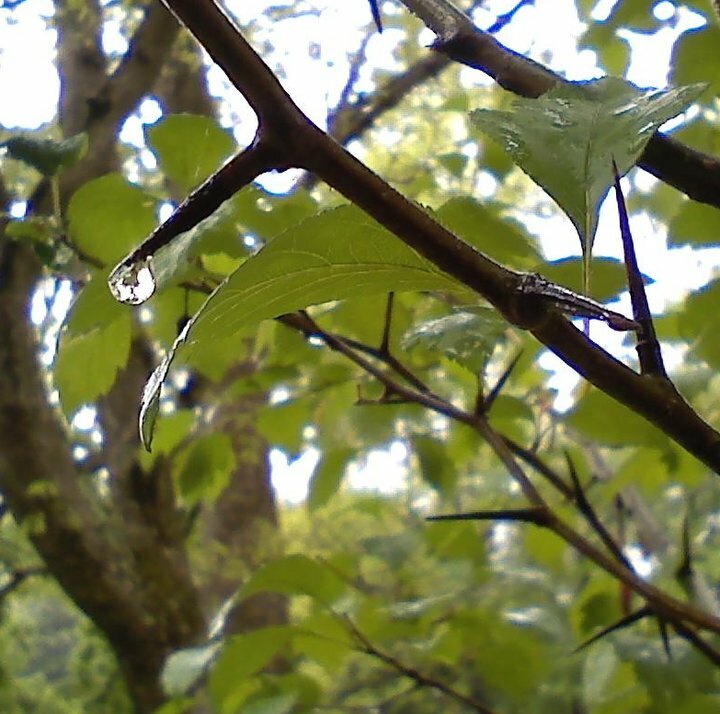 Finding White Oak showed me not only that I wasn't alone in seeking to learn about the actual pagan practices but also that it was possible to shape those historic practices into something modern and fulfilling. In my own way I had been practicing reconstructionism without knowing what it was for several years but finding other people was inspirational. In the same way though I have an inherent need for mysticism and magic that pulled me beyond simply studying the material or keeping to the surface of practicing it. 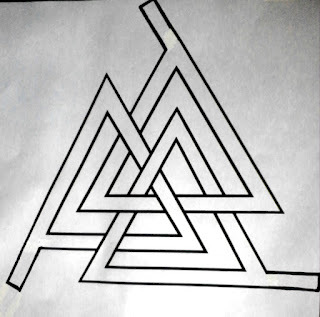 I was drawn to seek the practical applications of the most esoteric aspects of Irish paganism and to learn the magics talked about in the myths and stories that I read. In the end I think what drew me into Druidism was the desire to embody that same pagan magic I was reading about; at 14 I didn't want to be like Fedelm, I wanted to be Fedelm. Of course I was also driven from early on to serve my community as what can only be described as clergy. There is a certain inevitability in a person who is so driven by Irish culture, myth and magic, and a call to serve ending up being drawn to Druidism. Nonetheless I was never satisfied with the modern Druid groups who all either lacked something I was looking for or included something I was trying not to include myself. Only in finding a reconstructionist Druid Order did I find something that seemed to be exactly what I needed. And of course years later when I came to heathenry (one explanation for that = Odin) I did so with a reconstructionist approach as well. Even when I study or teach more modern topics its always done with that reconstructionist approach that says to start at the beginning and work my way forward. Being a reconstructionist satisfies my need for a solid historical basis while being a Druid satisfies my need for mysticism and magic. It probably seems like utter cognitive dissonance to some, but in it is the only thing that really works for me, and that is why I am a recon and that is why I am a Druid as well. Today is the autumn equinox, and as I mentioned in a previous blog about Artio, I celebrate this day in honor of Her; this is entirely my own practice, no citation worthy history to it, but I enjoy it. Thinking about it though also had me thinking about ritual structure in general and how people do what they do. All ritual, at its heart, should serve the dual purposes of honoring the Gods and of opening us to Their blessing. It should also allow us to be aware of and reflect on our connection to those Powers and our part in the natural and cosmic cycles. It is said, although I can't lay my hands on the exact reference right now, that the ancient Druids believed that their rituals were a perpetual act of creation that kept the cosmos going; I like to think that even today our rituals help keep cosmic order, if only because it nurtures my own feeling of connection to everything. Now personally I use several different ritual styles, depending on context. In public rituals I tend to use a more general neo-pagan format becuase it is the most accessible to the most people, and my community is comprised mostly of diverse neo-pagans. I have found that going with what people recognize and are familiar with creates the best results for the participant in an "open" public format (not that I don't work in some of my own bits, like having a public group walk between 2 candles representing bonfires during a Beltane ritual). I'm perfectly comfortable using this format myself in any of its variations and I believe that public rituals should be based in what the group connects best with. I am out there, after all, to serve my community, not myself. Other people have their own views on the subject, of course, this is just mine. Now with my kindred we tend to use a basic blot structure. Sometimes we use the hammer hallowing beforehand, sometimes we don't, but we always start by hailing the ancestors, land spirits, and Gods, pouring out offerings from the horn to each. We go around after they are hailed and we each say we want or need to about why we are gathered and may make additional offerings. When we have all said as much as we feel we need to we take the collected offerings out and pour them onto our outdoor altar space, called a ve, while thanking the gods and spirits for their blessings. Then we feast, usually a pot-luck style meal together (some of this food is also offered later). Now as an Irish pagan and Druid when I do rituals its usually just me, or me and my children. I try to follow a basic recon-style approach, but I have the freedom to improvise a little bit as well, even within the set structures of the specific Traditions I work in. This is just a basic outline for home rituals, and this is only the way that I do things although it reflects my understanding of recon style ritual and some general principles behind the ritual style of the groups I belong to (basically this is my disclaimer that I'm not trying to put this out there as any sort of set ritual format for anyone but myself). Of course the groups I belong to do have specific set ritual structures, but that's not what I'm writing about, nor is it necessarily my place to do so. I start off by burning either juniper, vervain, or an incense blend I make that combines several herbs and woods used historically for cleansing. I like to sing, so I usually sing something that creates a feel of ritual or sacredness - at the moment I've been going with the song "There Is No Time"; it's not historic or even tradition specific but I like it and I feel it works to create the feel I want to start off with. While I sing I walk three times sunwise around my ritual space, sometimes carrying the incense. After this I acknowledge the three realms and the three Powers associated with them; sea and the ancestors, land and the daoine sidhe, sky and the Gods. If a specific holy day or occassion is associted with one or two deities then I will only call that one or those two when calling the Gods. I invoke* each Power and make offerings to them apprpriate to their nature and which are environmentally safe. For example I might offer incense made from organic local plants, I might light a candle, I might write a poem and then burn the only copy during ritual, I might burn butter or olive oil, I might pour out pure water, milk, cream, or (rarely) alcohol, that sort of thing. After all the guests have been invited to the party, so to speak, I will talk a little about the purpose of the rite, perhaps read a poem or blessing - often something traditional from a source like the Carmina Gadelica, sometimes moderninzed or made pagan. If I know any appropriate songs I would sing them now. Some specific holy days like Beltane or Samhain have particular actions or activities that might occur, while others are more general. This is when any special activity or prayers would be done, followed by divination to assess if the offerings were accepted and the actions effective. Assuming the divination looks good and nothing has to be redone or "fixed" then the main body of the rite is finished. The gathered Powers are acknowledged and thanked for their presence (except the daoine sidhe, as I have a superstition about never saying "thank you" to them I ask instead that there always be friendship and peace between us). The energy of the ritual is grounded as an offering to the earth, and any physical offerings are poured out on the ground or left outside on the outdoor altar (the ve does double duty here). Usually this is followed by feasting. There is a lot of similarity between the heathen style ritual and the Irish/Druid style one, but the heathen blot tends to be simplier and more straight forward, an honoring of the Gods and Spirits. Druid ritual is a bit more about energy and the altered consciousness that comes from connecting to Powers outside ourselves, in my experience. And public ritual should create some feeling of connection and experience while honoring the Gods. All rely on a basic structure blended with unique elements and a person's willingness to be open in giving (making offerings) and recieving (accepting blessings/experiences). 2. To appeal to or cite in support or justification. I use words based on definition not popular perception or urban-legend style meanings. Today's book review will focus on the single most recommended book for Celtic recons, the CR FAQ. This really is one of those "must read" books for anyone interested in Celtic recon, and is the product of the collaborative efforts of some of the founding members of this approach to Celtic religion. It was published in 2007 in print and appears free online at http://www.paganachd.com/faq/. One of the best things about this book is its flexibility. It can be read straight through or used as a reference with a very thorough table of contents and in depth index making looking up anything simple. The format itself is a typical question and answer FAQ style allowing for the reader to identify a printed question that is similar to what he or she is curious about and then read the answer. However, as I stated earlier, the book also lends itself well to cover-to-cover reading. The book begins by defining CR, Celtic, and reconstruction, giving someone new to the concepts a basis to understand the concepts. The next section looks at basic questions like whether Celtic ancestry is necessary, whether there is a particular "holy" text, solitary versus group practice, clergy and lay people, etc., This is followed by a section of intermediate questions, including a look at the place of UPG, and then sections on misconceptions, theology, ritual, ethics, druids and druidry, the difference between CR and other religions, how to get into CR, as well as a reading list and pronunciation guide. All of the topics touched on are common questions about CR and make reading the FAQ a good idea for beginners. Even after years of practice and community participation I still re-read it regularly just to re-connect with certain ideas within it. Generally I like the book and I like that it is willing to tackle difficult issues like cultural appropriation. If it has one drawback it is the nature of the book itself - it is a FAQ and not a definitive guide to practicing CR, but then again, there is no definitive guide (nor could there be with the diverse nature of CR itself). Also each answer is fairly short and concise; there are no in depth essays on CR beliefs or practices. A person looking for a detailed explanation of how to practice will be disappointed, but for anyone who is curious about what CR is, or looking for a place to start creating an individual practice, or even someone new to the online or real world CR community that is just looking for an understanding of how it all works, this is the best place to start. 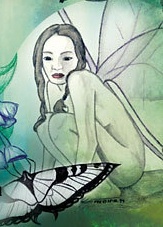 I'm very excited to say that tonight I will be on the blog radio show the New Normal tonight discussing Faeries. I met Tchipikkan at the first Changing Times, Changing Worlds conference in 2010; she was one of the organizers and teachers, and I was teaching several classes, including one on Faeries and the Celtic Otherworld. 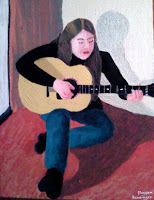 Last year she and I were both at CWPN's Harvest Gathering and she sat in on my Faeries class there. When she contacted me about speaking on the show Faeries seemed like a great choice of topic and I can't wait to discuss it with her and to hear from anyone who calls in. 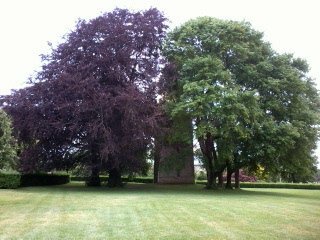 There seems to be a pervasive, underlying dualism in paganism which can be seen in the various either/or arguments that go around. Either religion or spirituality. Either modern or traditional. And at the moment, either belief or practice. It should come as no surprise to anyone who knows me and my liminal ways that I reject both hard views - the either/or paradigm - and instead my own perspective is based in balance. The current discussion going around is centered on whether it is orthodoxy (belief) or orthopraxy (practice) that matters more. One view holds that belief is the cornerstone to everything else and that what we do is less important than what we believe; by this view community is built on a similarity of belief. We all believe the same therefore we are all the same religion. In contrast the other view holds that what we believe is less important than what we do and that community is based on a similarity of practice. We do the same thing, ritually, therefore we are the same religion. The belief argument is often held as a neopagan stance, while the practice side is held by recons. Both have their pro's and con's; similar belief can acts as common ground for those with different practices, while similar practice can act as common ground for those with different beliefs. My sticking point in all of this is the either/or aspect, the idea that it has to be one way or the other. I believe this is a logical fallacy, a false dilemma. My experience with the pagan community over the last few decades has shown me that those who hold to the orthodoxic view still have boundaries of acceptable and unacceptable practice, just as the orthopraxic side has limits to what beliefs are and are not allowed. Most neo-pagan groups, for example, that embrace the idea of similar belief will still reject practices that involve, say, conducting a mass to the goddess in the guise of Mary, even if they all believe that Mary is a face of the Goddess. Similarly the orthopraxic groups will reject beliefs that are too far out of the accepted norm, such as CR groups that refuse to allow CR style worship to Lwa. (note that these examples are purely illustrative and not meant to imply any personal judgment in any direction). The point is that it is not nearly as clear cut or simple as the either/or. To be heathen or CR is as much about believing in the deities and cosmology - on some level - as it is practicing like everyone else. Even atheist heathens relate to the gods in some way and understand the heathen worldview. So to my mind it isn't either belief or practice, it's belief and practice. If I had to concisely describe my own view I suppose I would say that it is experiential, because experiencing something beyond ourselves - whether that experience comes through belief or practice - seems to me to be the heart of spirituality. Rote belief or practice by themselves, to me, are not transformative or powerful, but can be tools to reach past ourselves and create that connection. Even if the experience is a simple moment, an awareness that we didn't have before, it is that experience that we should strive for. Of course I am coming from a very esoteric place and my own past experiences shape my views on the value of experience; it may well be different for everyone else, and I don't judge those who find true value without transformative experiences. Spirituality will always be unique in many ways to the individual practicing it, no matter how much common ground that person shares with their community. I am a wanderer, and sometimes I practice with those who hold different beliefs just as sometimes I practice differently from those with similar beliefs. I do not feel that having a different belief from someone is an insurmountable issue, nor that practicing differently is the core of what defines us. A community is too diverse to ever fit into such a narrow model. No, it will always be a blend of differences and similarities, with a fine balance maintaining the homeostasis necessary for the community to exist at all. Sometimes people stray too far from the common belief or the common practice and cross that boundary of "acceptable" and then a new community is formed, but generally even in communities that emphasize orthopraxy or orthodoxy there will always be variations. It's human nature. This month we will be looking at Kenaz, Kaun, or Cen. It is represented by the letter “K” in English, although it is also sometimes compared to the letter “C”, which its shape resembles. Like many ancient alphabets the Futhark has a K which would be equivelant to a hard C, or an S which would be used for a soft C, but no single letter C. Kenaz is the sixth rune of the first aett and dovetails nicely with the last rune we discussed, which in many ways is it’s opposite. 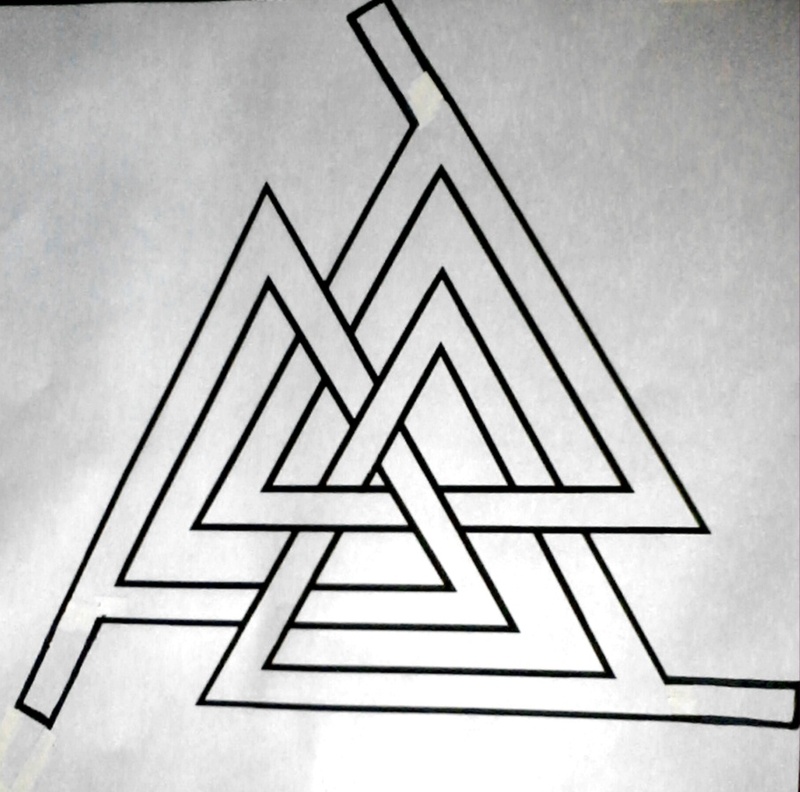 The rune poems take a wide veiw of the meaning of this rune. In the Anglo-Saxon Kenaz is compared to a torch whose bright light illuminates indoors where noble people rest. it always burns where princes sit within"
In contrast the Norwegian and Icelandic both compare it to illnesses <possibly interpreted as fevers> which are fatal to children. Icelandic: "disease fatal to children; and painful spot; and abode of mortification"
Norwegian: "Ulcer is fatal to children; death makes a corpse pale"
Almost all of the modern meanings for Kenaz are derived from the Anglo-Saxon with little emphasis put on the other two. 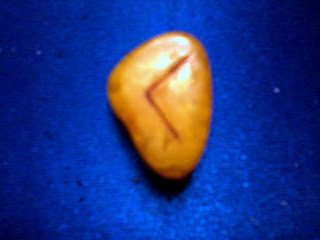 It is generally agreed that the meaning for this rune is strongly connected to the torch lighting the way. It can be seen as divine guidance or inspiration, hope in any situation as well as the ability to see the source of a problem. At it’s most basic it is fire, the fire of initiation, transformation, transmutation, but also the forest fire and fire as it consumes and destroys. It is the fire of the forge which allows us to shape and change our reality. Some runesters connect this rune to sexuality as well. On the negative side it can represent illness as well as a fear of moving forward or leaving the safety of the present situation. When Kenaz comes up in divination it can represent the need to trust in the guiding light of spirit. It tells us that we are in a position to be lead through our present darkness if we follow the light within us. It can also be an indication that we need to express ourselves creatively, to release the fire within us. It appears to tell us that we are in a position of transformation and renewal. Sometimes it will show up to indicate a need for control, or as a warning of impending illness. I have had it come up in readings as a warning to be careful around health issues and to prepare for possible health challenges. Kenaz can be used in spells to help call on the divine light for guidance as well as in charms for inspiration or to enhance creativity. As a fire rune it works especailly well when carved on candles for candle spell, or for adding the intense energy of fire to a spell. For healing purposes it could be used for someone who is hypothermic or severely chilled, but should be carefully monitored and removed as soon as it has accomplished the goal, lest it go too far and create the opposite problem for the person. It can also be used in cursing, as can thurisaz, when its destructive side is unleashed on a person. This rune more than most requires care when used; like any fire it must be controlled and directed or it can easily assume a life of its own. As with the previous runes, doing a meditation technique were you travel into the rune is a good way to learn the energy of Kenaz. The addition of a candle during meditation can also help get you in tune with this energy. As always its a good idea to write down your expereinces in a journal. Sometimes the deities we feel drawn to worship are fairly well known in mythology or can easily be read about in secondary sources material, but other times we are drawn to deities that are obscure. This is the case with one of the main deities I work with, a Germano-Celtic goddess named Artio; in practical terms it means that I have a scant few references to work with and must make up the difference with personal gnosis and experience. I have hesitated to write too much in the past about Her because I knew that it would mean talking about personal practices that were developed through inspiration more than research, but it seems only fair now to offer what I know and my own experiences. Perhaps it will help others who feel drawn to or called by this particular obscure deity to feel more connected to Her. Artio is also called Dea Artio and Andarta all names that relate to or directly mean "bear" (Monaghan, 2004). One of the best known pieces of evidence relating to Artio is an engraved statue found near Berne, Switzerland. The statue depicts a seated female figure, generally thought to be the goddess, holding a basket of fruit, facing a bear who is standing in front of a tree; an engraving on one side of the statue says: "to the goddess Artio" (Green, 1992). A second find with in inscription was found in Bollendorf, Germany, and other evidence was in France (Green, 1992; Monaghan, 2004). While the areas Artio has been found in could be considered Germanic, the name is Gallic, and She is generally described as either Germano-Celtic or Romano-Gaulish (I favor the former myself). Although the imagery of the statue is obscure and there is a lack of literary evidence, most agree that Artio was likely a goddess of fertility and plenty, and possibly a patroness of hunters as well as protector of bears (Green, 1992; Markale, 1986). Some also theorize that She was a more general goddess of the wilderness and wild things (Monaghan, 2004). Sources agree that She was also seen in the form of a bear, with Sjoestedt placing her in the category of zoomorphic goddesses alongside Epona (Sjoestedt, 1949). It seems likely that the bear goddess, Artio, was eventually replaced by a bear god, Artaios who was synchretized by the Romans to Mercury (Markale, 1986). My connection to Artio comes through my seidhr work. When I first seriously began to practice seidhr I decided I needed to find out who or what was willing to act as a guide and protector for me. I already had a close working relationship with my Fylgja and with certain plant and animal spirits, but I suspected that taking this sort of spiritual work in a new direction would involve new Powers, beyond Odin and Freya who were already involved. I undertook a spiritual Journey and encountered a bear who was also a woman, simultaneously. She told me that she would be with me for any seidhr or spae work that I did and that her name was Arto. I had never heard that name before, but I knew that Art meant bear so I didn't think much of it. 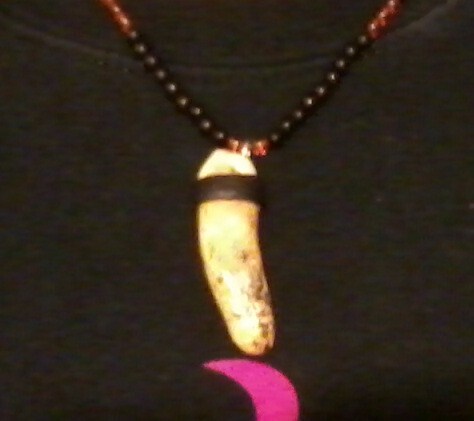 I was also told that when I did oracular spae work I should wear a bear skin instead of a veil. I assumed she was some sort of powerful spirit, and was happy that I had someone willing to be with me in this work. By coincidence (or synchronicity) shortly after this experience I came across a fossilized cave bear tooth for sale and I bought it and made a necklace from it which I have since worn whenever doing any seidhr or spae. The bear fur was, suffice to say, much more difficult to find but did come to me in due time and I use it as I was told to. I even recently had a dream where I "won" a bear skull and was instructed to feed it by blooding it; I'm waiting to see if such a skull finds its way to me in the real world or not. I later found out that Artio was an actual historic Goddess, although there is nothing in the scant records to indicate a definite connection to any type of oracular or magical work associated with Her. I don't know why I was surprised that I ended up contacting an obscure Germano-Celtic goddess, since, in retrospect, that makes perfect sense as the sort of deity for me with my dual-trad ways. I can comfortably honor her in either a Celtic or Norse (Germanic) context, which is nice. This connection has always worked for me and I feel very protected by Her in seidhrworking and also very connected to the bear. Although I will say that my personal experiences with Her show that She can be both tender and protective and also very intense. I have encountered Her in the Spiritworld and been dismembered, for example, but I have also been healed; I have had Her in bear form charge at me roaring so that I was literally too terrified to move or even think, but She has also been very gentle with me. 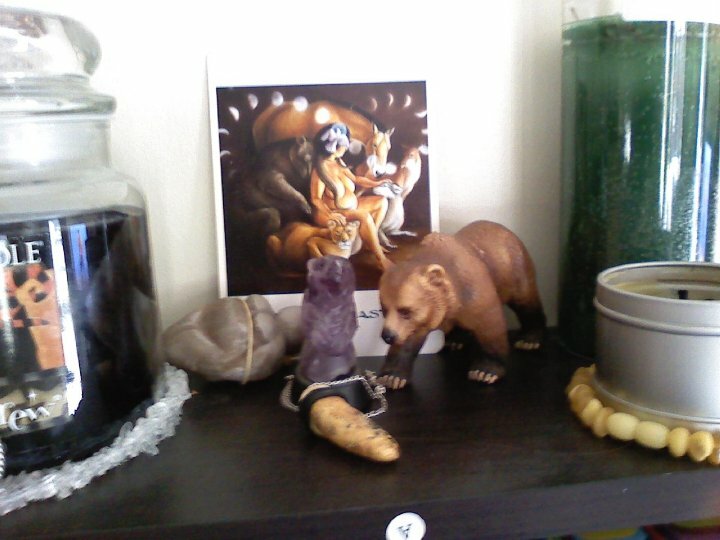 I have a small shrine for Her with a collection of carved bear statues and the best image I could find of a goddess and bear. I also honor Her especially on the equinoxes. In the spring I celebrate the awakening of the bear on the spring equinox with a ritual for her that includes offerings of honey and bread. In September I celebrate the dreaming of the bear on the fall equinox with offerings of fresh fruit and vegetables. This is purely my own invention, although my kindred has adopted the practice along with me. We all practice seidhr together and have adopted Artio as a group, which seems to be working well. Honoring Artio has forced me to trust my own intuition more and to be willing to follow my gut as I find ways to connect to a deity where there is very little existing historic information to rely on. I have also learned a great deal about bears as I worked on learning about the animal most strongly connected to this deity. Bears are amazing animals, and I have found female bears particularly interesting; they are devoted mothers and excellent teachers, verstaile and intelligent. Bears have several biological quirks, not only do they hibernate, but a female bear can delay pregnancy after fertilization through a process that scientists are still trying to understand. I encourage anyone drawn to Artio to begin studying bears as well (I've focused mostly on black bears because they are native to my region). I do not know exactly how long I have been honoring my ancestors, although I do know that I began doing so long before I was associating with any groups or formal religions that encourage it; I would guess probably since around the mid 90's. Of course now I know that many pagan faiths, including Heathenry and Druidism, include aspects of honoring the ancestors, both the person's own family line as well as important past figures or close family friends who are not blood relations. There are different reasons for remembering those who have come before - some people do it to keep the memory of those people alive and to nurture a sense of connection to the past; others do it because they believe that a person's spirit lives on after physical death and can be interacted with. I fall into this second group, since I have always believed that the spirit lives on and that there can still be a relationship with these spirits. 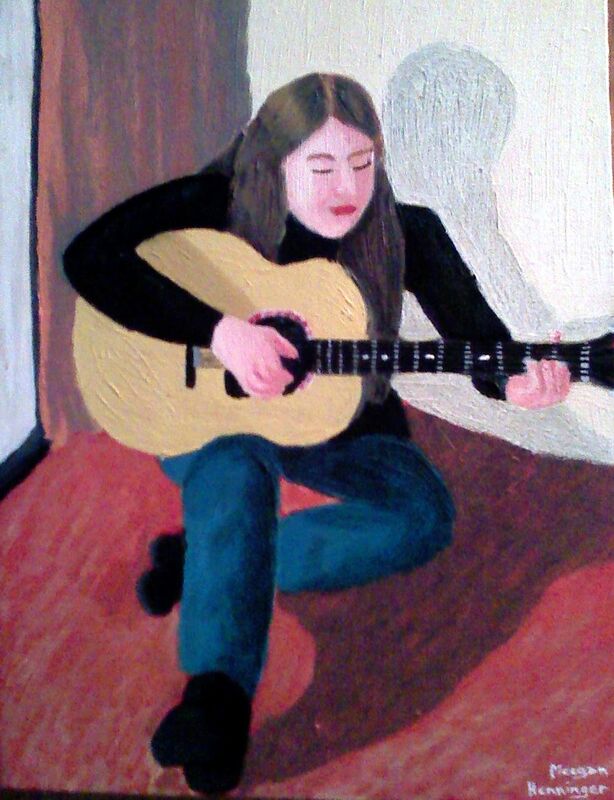 I don't think my actual practice directly reflects those taught by any one faith group, rather it seems that parts of what I do are a little like what many other groups do. 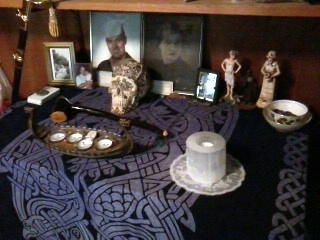 My initial approach to ancestor worship*, which is still a main part of my practice, was to create an ancestor altar. At first this served simply as a way to feel connected to my ancestors, who I had not known in life, but as relatives who I knew and loved began passing away the purpose shifted to a place I could go and talk with them, light candles for them, burn incense, and leave offerings. 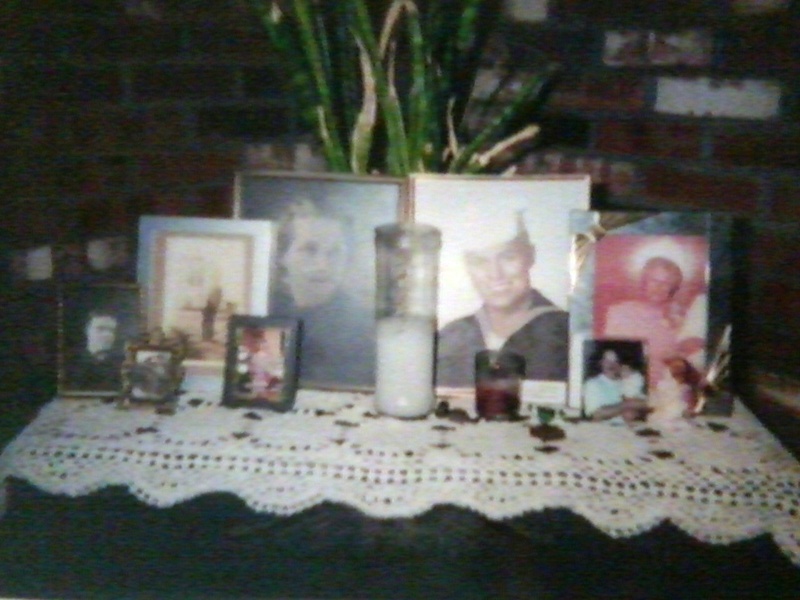 My first ancestor altars where simple affairs, a small collection of pictures of my relatives, eventually with a simple white candle. As time went on the altar grew and became more complicated, with a decorated resin skull being added in to represent all of my ancestors whose names I did not know, but who were still with me in some sense. I also added a collection of small female statues to represent my Disir, the female ancestors who guard my family line. A special oracle set, and then two, were added for when I felt the need to consult my Dead without wanting to go the full spae route. Many of the pictures acquired little tokens or mementos, usually objects owned by that person in life, and more candles were added. In short the altar developed it's own personality. I like to light the candles on my ancestor altar and talk with my ancestors, especially my father, the way I did when they were still alive. It acts as a touchstone for me, a place I can go to honor my Dead but also a place I can go for comfort. I point each picture out to my children and tell them stories about their ancestors. I bring offerings of coffee (a staple drink in my family!) and of bread. At the holidays that they celebrated I bring candy. I also make spontaneous offerings outside, usually of coffee or hot chocolate, which seem to be the best received; I simply say whatever I feel moved to say and pour a little bit out onto the earth for them. Speaking of holidays they celebrated - yes my ancestors were Christians; Catholic on my fathers side and Congregationalist on my mother's. I have not found this to make any difference whatsoever in their acceptance of my honoring them, although my Catholic grandmother has asked that I have masses said for her which leads to some interesting experiences on my part. I have certain ancestors that feel closer than others and they seem to be the ones that are more likely to ask for specific things and to come through during divination or spae. Others seem content to be there in the background. Actually it reminds me a lot of the experiences I had with family functions as a child where some people were very chatty and others hung out by the food table snacking, so maybe that's a healthy dynamic to have. Finally I have honored my ancestors by doing a variety of genealogical research over the years. I did this to honor their memories, but it also proved to be very enlightening for me especially for my mother's side which did not have the tradition of passing down stories of the past generations the way my father's side did. I had known from a young age that my father's mother was half Cherokee and half Scottish, and that his father was the son of a German and an Irish immigrant, for example, and a variety of stories about different family members on that side. But I never knew until I researched that my mother's family had pretty much been in New England since it was a British colony, or that a member of that side of the family had fought in every single American war since the Revolutionary war. It made me feel much more connected to that side of the family. But even if that wasn't possible, even if I had no idea who my parents were or anything else further back, I would still honor them, still acknowledge their place in my life. fair fame of one who has earned"
So long as we remember those who have gone before us, whose lives gave us life, they are never really gone. They are our roots, our connection all the way back to the beginnings, and knowing them means knowing ourselves, who we are and where we came from. Even nameless, even unknown they are still there. I believe they can hear us when we speak to them and that they care about what happens to us, especially those people who loved us in life (blood relations or not). As long as I feel like they are there and care, I will be here, caring, speaking to them, and pouring out offerings for them. *worship means ardent devotion or adoration, from the middle english worshipe which meant worthiness, honor. I have no issue using this word to describe what I do in honoring my ancestors, but some people feel strongly about not using this word, and prefer to use veneration, or honor. My use of the word worship is a choice, but I understand others may choose differently; if the word usage bothers you feel free to replace it with "veneration", a synonym for worship that may be more acceptable.